Oh yea? and what if I don't? 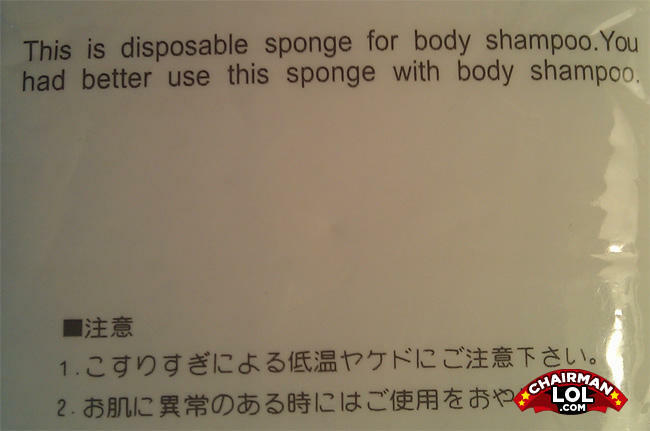 If you not use this sponge with body shampoo, youre body will become a sponge!!! we'll find you. and kill you. and take your body wash.
You got one for the hair too? Why did the old man fall off his bicycle? Because somebody threw a fridge at him.